It takes less than 2 minutes to compare and book car rental with VroomVroomVroom, and that got us thinking. What else can you do in 2 minutes? CONGRATULATIONS TO THE WINNER - GARETH S! Gareth's challenge: "In keeping with the nature of his business, I'd love to see Richard try to parallel park in a space only 6 inches longer than the car he is in!" We'll be setting up the challenge and recording it on video... stay tuned! 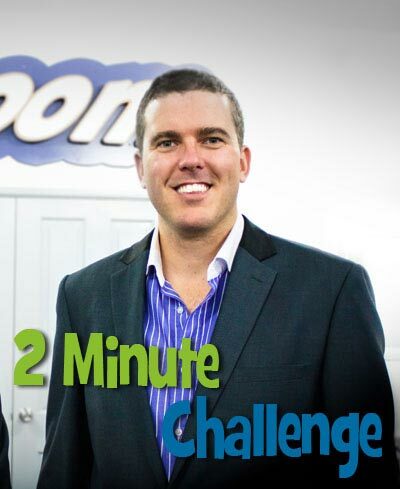 For your chance to win a $200 car rental voucher*, tell us what challenge our boss (Richard, that's him on the right) should complete within 2 minutes. We'll choose an interesting entry and record a video of Richard attempting the challenge, then post it on our Facebook page for all to see! Competition closes at 1pm (AEST) on Friday 11th October, 2013. Winner will be selected based on creativity from entries and announced on this page by COB on the same day. Promoter's decision is final and no correspondence will be entered into. Winner is entitled to ONE car rental voucher up to the value of AUD $200 but can be used in Australia, US, UK, NZ or Canada. Rental must be booked through VroomVroomVroom before 31st December, 2013.